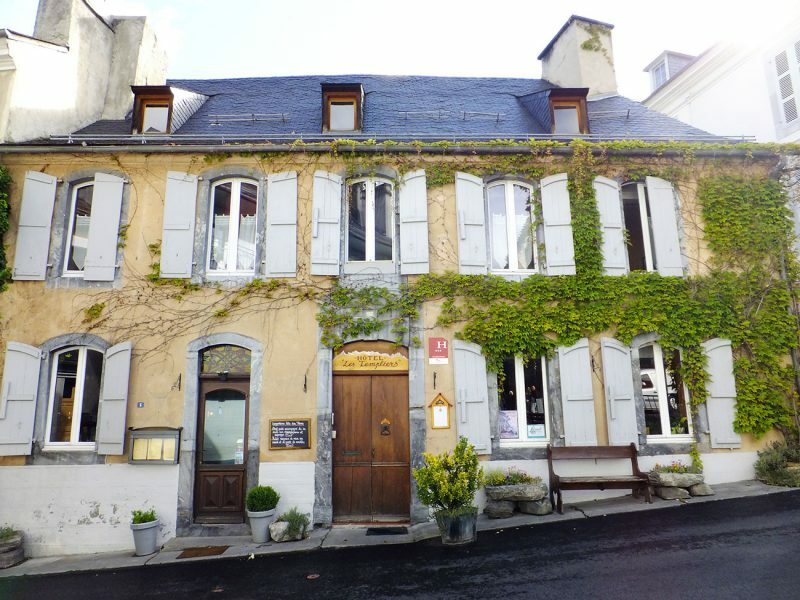 In the heart of the Grands Sites in Hautes-Pyrénées, in the Toy Valley, our hotel in Luz-St-Sauveur, one of the smallest village in the Vallées des Gaves, will become your base camp for all your activities, in summer and winter.35km from Lourdes, Luz-St-Sauveur village is located close to Pyrenees National Park and Mont-Perdu border mountain, registered at UNESCO World Heritage as natural and cultural landscapes. Come and enjoy activities, try out cannyoning, via ferrata and rafting in the Pays Toy, thrills guaranteed! Discover villages and old paths in the heart of the Toy Valley and relax with a back and foot massage and Luzéa spa center. Two days of walking to discover the Grands Sites such as Cirque of Garvarnie, Pont d’Espagne and Pic du Midi… Come and be amazed ! You will discover Hotel les Templiers at the corner of an alley, in the center of Luz. Enjoy our comfortable and remodeled rooms, our lounge with TV, fireplace, fridge for the guests and tea / coffee area. Our hotel is the marriage of history and comfort. The rooms are all different with either view on the fortified church of St. Andrew, known as the Knights Templar, or a small interior courtyard or a quiet street. Served from 8:30 to 9:30, mainly composed of organic and local products, our breakfast gives you all you need to start your day. Book a table: +33 (0)5 62 91 68 72 Their Website Closed on thursday (lunch & diner) et saturday (lunch) . You don’t know what to do in the Pyrenees? Visit our website Pyrenean Odysseys and facebook page for more information on hiking, snowshoeing, mountain guides, summer activity holidays (canyoning, rafting, via ferrata … ).